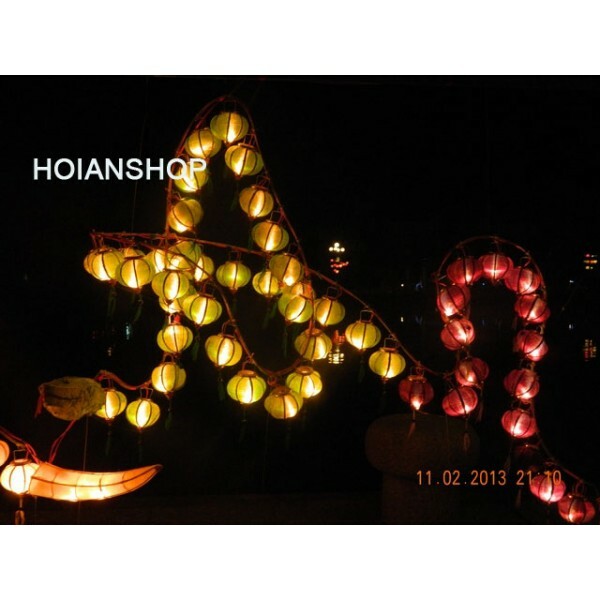 Hoian Lantern was made from 100% Jacquard silk fabric stretched over a bamboo frame with a tassel below. 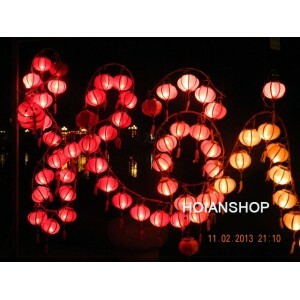 These lanterns are inspired by Vietnamese artisans and is meant to bring good fortune. 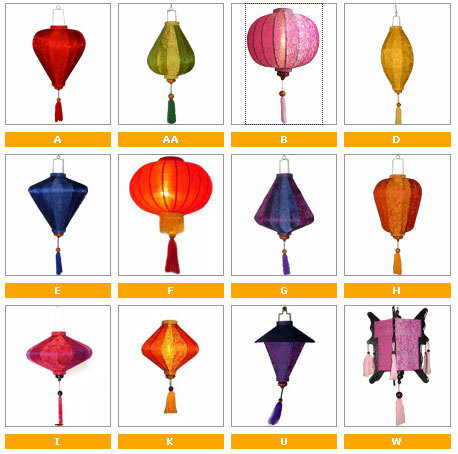 These Vietnamese silk lanterns are handmade using Jacquard silk and brocaded fabric.The beautiful Vietnamese silk lanterns are a wonderful way to decorate home , restaurant or hotel …Ship as a narrow tube , then expands like an umbrella in less than a minute . We are producing lanterns in many size such as 10, 15, 20, 25, 30, 35, 40, 45, 50, 60, up to 120cm..
- Please send us your request size, COLOR or SHAPES by adding a note when making payment via PayPal or simply send us via email: vietnamsouvenirshop@gmail.com.